The Digital Millennium Copyright Act (DMCA) safe harbors are a vital protection for websites and Internet services of all sizes. But thanks to a new Copyright Office rule, website owners could lose safe harbor protections if they don’t register online by December 31. And that’s not all: Hollywood lobbyists are pushing the Copyright Office to create even more hoops for website owners to jump through in order to keep their safe harbor. Under current law, the owners of websites and online services are protected from monetary liability when their users are accused of infringing copyright. Owners must meet many requirements in order to be eligible for that protection, including participating in the notorious notice-and-takedown procedure for allegedly infringing content. They also must register an agent with the Copyright Office, someone who can respond to takedown requests. 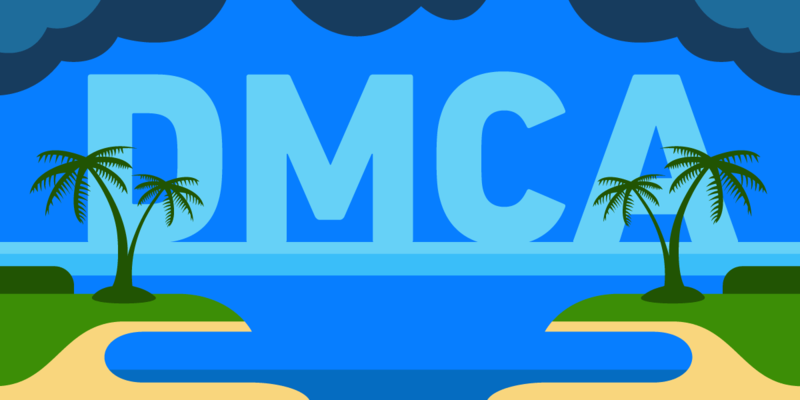 The DMCA is far from perfect, but it does allow websites and other intermediaries that host third-party material to thrive and grow without constant threat of litigation. Without safe harbors, small Internet businesses could face bankruptcy over the infringing activities of just a few of their users. Now, a lot of those small sites risk losing their safe harbor protections. That’s because the Copyright Office recently made new rules for registering agents. Under the new system, the Office has decided that website owners must renew their registrations every three years or risk losing safe harbor protections. As we’ve written before, there’s simply no good reason for agent registrations to expire. We’re also afraid that it will disproportionately affect small businesses, nonprofits, and hobbyists, who don’t have the same staff resources as big Internet companies. That’s just the beginning. If certain big media and entertainment companies get their way, it will become much more difficult for websites of any size to earn their safe harbor status. That’s because those companies’ lobbyists are pushing for a system where platforms would be required to use computerized filters to check uploads for potential copyright infringement. Requiring filters as a condition of safe harbor protections would make it much more difficult for smaller web platforms to get off the ground. Automated filtering technology is expensive—and not very good. Even when big companies use them, they’re extremely error-prone, causing lots of lawful speech to be blocked or removed. Besides, no computer can understand the human context that goes into determining whether a given use of a copyrighted work is a fair use. Requiring websites to monitor uploads more restrictively would result in legitimate uses of copyrighted works being pushed off the Internet. If you run a website or app that stores material posted by users, then don’t wait. Register (or re-register) a DMCA agent through the Copyright Office’s online system today. Then, whether you own a website or not, sign our letter to the Copyright Office telling them why the safe harbors are vital protection for Internet users, and asking them not to impose new obstacles. Tell the Copyright Office: Keep safe harbors safe!